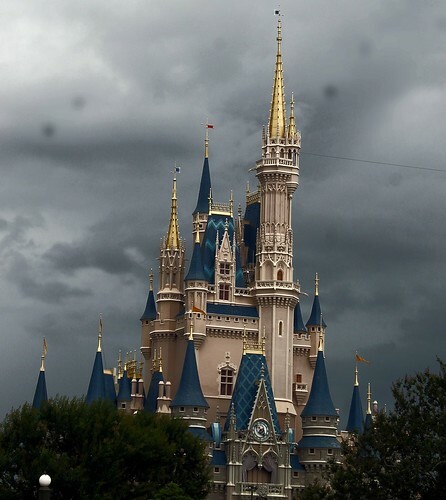 I went to Disney World last week, I’ve been before but I hadn’t been in several years; more importantly my four year old daughter had never been to Disney World. Zilla (not here real name obviously but rather a nickname she got from her Godzilla-like tendencies towards my toys) is at that age where Disney is a truly magical experience as the people in costume are still the characters they portray instead of just being some guy in a Tigger suit. My grandparents ie. the people who raised me and originally brought me to Disney World came along with the zilla, Mr. Klein and myself as they wanted to see Zilla at the happiest place on earth while they are still able to travel. My return to Disney after not being for so many years and this time with a little one of my own in tow kind of offered me a unique perspective on Disney World. I figured I would share some of my experiences here even though this isn’t really the sort of thing I normally cover though I did get something anime related at Disney World that filled my black heart with glee. 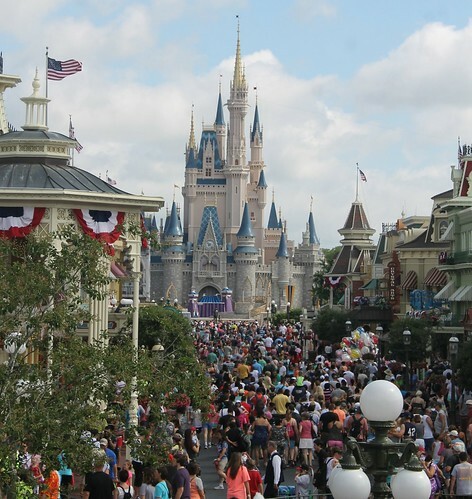 Looking at Main Street I realized for the first time that I was looking at something called forced perspective, forced perspective is an optical illusion that in this case makes Cinderella’s castle appear larger than it actually is. I had kind of forgotten about the entire lack of personal space thing at Disney World. I dropped my phone while in the park, luckily I was able to retrieve it later that day but it got me thinking about just how many phones, etc must go missing in the park on a daily basis. I was told that the day I took this picture was a slow day so they had only found a dozen or so phones…. look at the picture again, that’s a slow day! Most of our days were spent running around the park going on all the zilla appropriate rides and tracking down the different characters so she could give them each a hug. 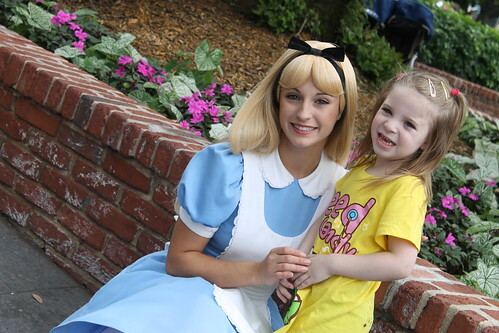 When I was younger and went to Disney World it seems like there were a lot more characters roaming the parks, now there seems to be an emphasis on meet & greet spots. The wait times were pretty ridiculous for some of the characters, Rapunzel and friends had a ninety minute so we had to get a fastpass and come back later in the day just so zilla could meet her very favorite princess. The wait times at night were a lot shorter, we were able to get to see like eleven different Disney characters the one night all within like an hour and a half time period. It rained a lot while we were in Florida, it seems like it rained everyday and there was even a tornado warning one day. Mr. Klein and myself went back to the Magic Kingdom at night by ourselves after everyone else was fairly worn out, it wasn’t raining when we left the hotel at all but by the time we got to the park (all of ten minutes from the hotel) it was a torrential downpour both of us were like completely soaked within a minute of leaving the car. Since I was already soaked I figured well hey if it’s going to rain, let it pour: I’m already wet, I couldn’t possibly get any wetter. The park emptied out and we were able to go on all the rides with a maximum of a ten minute wait- haha! 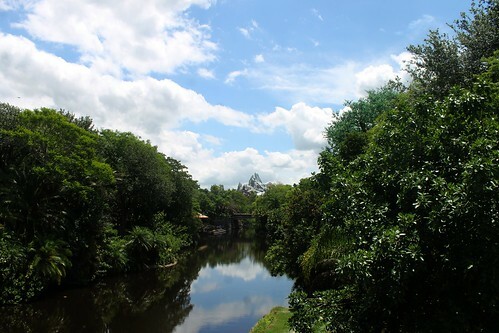 We also went to Animal Kingdom. 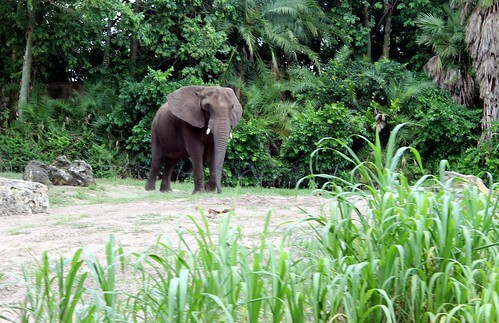 Elephants were always my favorite. 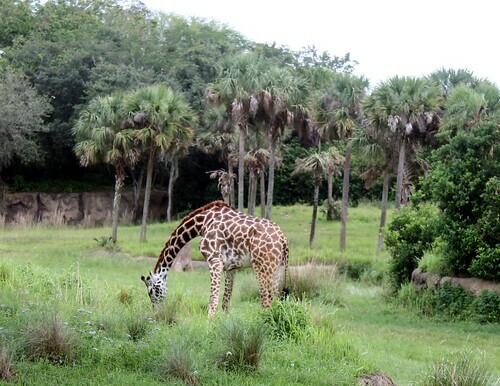 The giraffes are pretty damn cool too though. 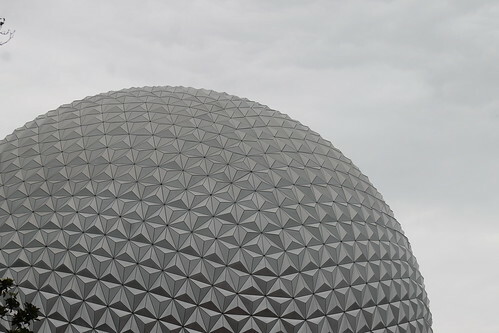 We went to Epcot too. It wasn’t as exciting Magic Kingdom for the little one. 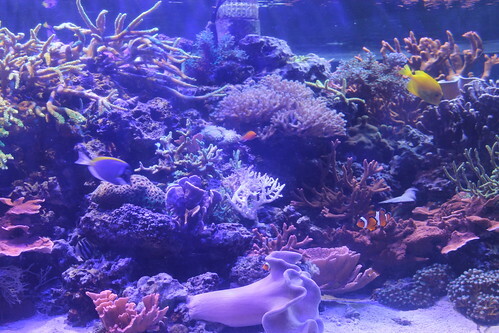 One of the aquariums at the Finding Nemo/Sea area. We also went to MGM but mostly at night so I didn’t bother with many pictures there. Mr. Klein made much noise about how Disney was ruining his childhood because of their recent purchase of Star Wars. Personally, I don’t have strong feelings about this as I’ve never really watched Star Wars (not a huge sci-fi fan, sorry!). 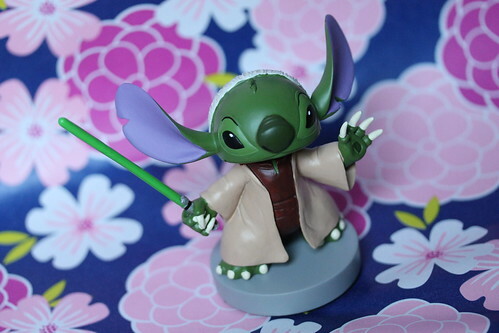 I thought it somewhat hilarious that he was able to see past the ruination of his childhood to buy this figure of Stitch (of Lilo & Stitch) dressed up as Yoda. In his defense, it is awfully cute! 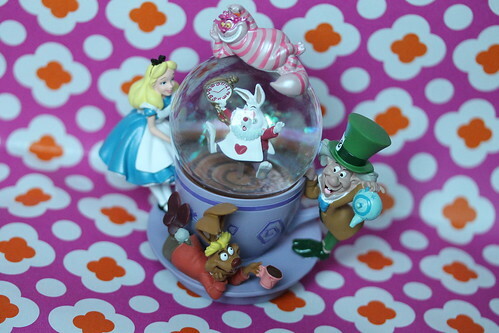 Alice in Wonderland is one of my favorite Disney films so I was hellbent on finding something Alice to bring home…. I didn’t realize how much of a challenge that would be. After searching and failing to find anything even in Fantasyland which should be Alice central (Tea Cup ride, Cheshire Cat Cafe hell you can even meet Alice there) and failing to find anything. I started inquiring at the different stores about Alice in Wonderland stuff and the staff looked at me like I had asked them where I might buy some hallucinogenic mushrooms. Apparently since Alice isn’t an Official Disney Princess so she doesn’t get much merchandise I did find a small Cheshire Cat charm designed to go on a charm bracelet but that was about it at the parks themselves. I eventually found this snow globe at Downtown Disney the night before we left, I also found an absolutely fabulous Cheshire Cat plush with a boa style tail (this) there that I was unable to resist. I’m quite happy with the globe for the price especially compared with some of the truly outrageous pricing at the stores for some things I felt this was a pretty solid purchase for like $35 after tax. 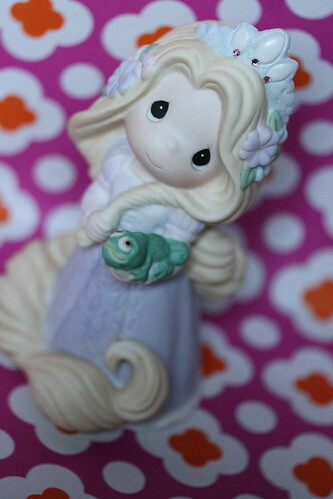 Since I had pretty much given hope at finding anything Alice in Wonderland I decided to get myself something from my other favorite Disney film, Tangled. I don’t really collect Precious Moments (I do have one other a girl with headphones sitting on a beanbag, reading a stack of comics) but I thought Rapunzel was too cute to pass up. 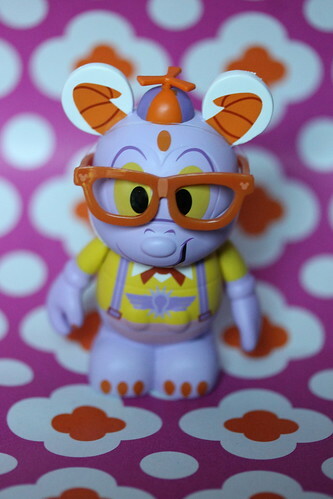 I rather like Figment and I liked the geeky design of this vinylmation figure so I bought him. 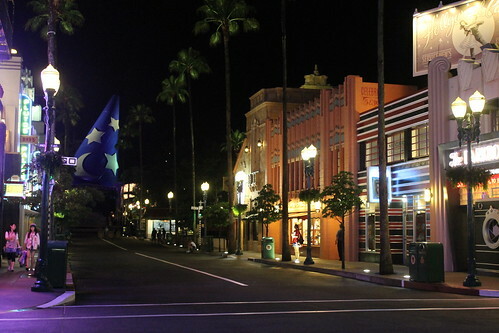 For several years, I had a Figment keychain on my messenger bag that I had got during my very first trip to Disney that was my lucky charm. Much to my surprise I found this Asuka figure at Epcot, I have to say there was something deliciously about buying an Evangelion figure at the happiest place on earth. Asuka is my favorite character from Evangelion so I had no choice but to buy her when I found her in Mitsukoshi Department Store at the Japanese pavilion in Epcot. 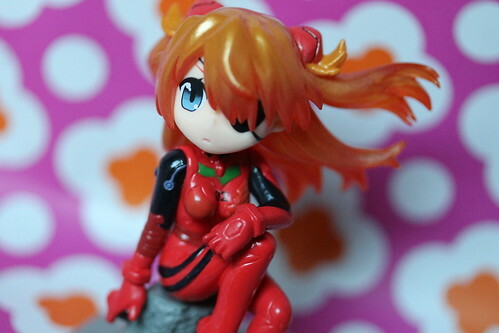 Asuka is part of the petit eva line of figures from Evangelion@School. 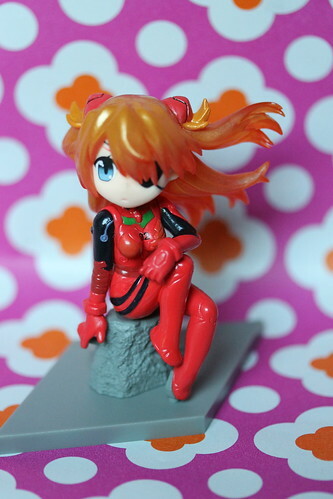 There is a corresponding Rei and Kaworu that matches this Asuka but I was only really interested in Asuka when I found them. Other toys… zilla got a suitcase full of souvenirs (mostly plushes but also pirate stuff because damn gender roles, zilla wants to be a pirate), Mr. Klein got a new Star Wars shirt that is supposedly to be really cool and awesome which I apparently don’t understand the significance of and I got a new purse. This entry was posted in Uncategorized and tagged alice in wonderland, animal kingdom, disney, disney world, disney x star wars, epcot, evangelion@school, figment, hollywood studios, lilo & stitch, magic kingdom, rapunzel, star wars, tangled, vinylmation. Bookmark the permalink.